And now, the moment you've all been waiting for . . . These fabulous ladies: Melissa, Amy, and Shenna helped put this together. My bestie Britany, who blogs at 32 Turns, is having a baby in a couple weeks. 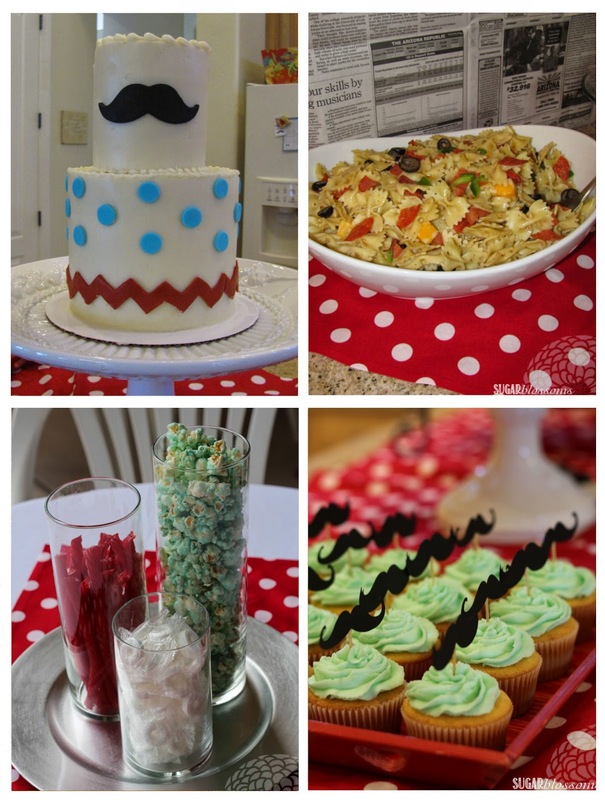 Since she's having a boy, we threw her A Mustache Bash. See our collection of inspirational pics on our Pinterest Board. 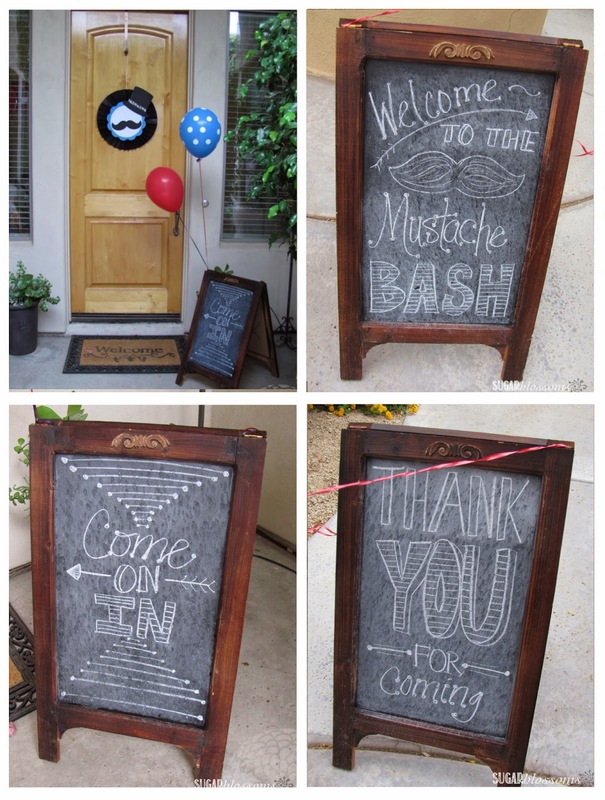 We put some sandwich boards out front to welcome the guests. I tried to make them awesomely chalkboardy but it actually rained here in the Valley of the Sun and kind of messed them up. Typical, right? 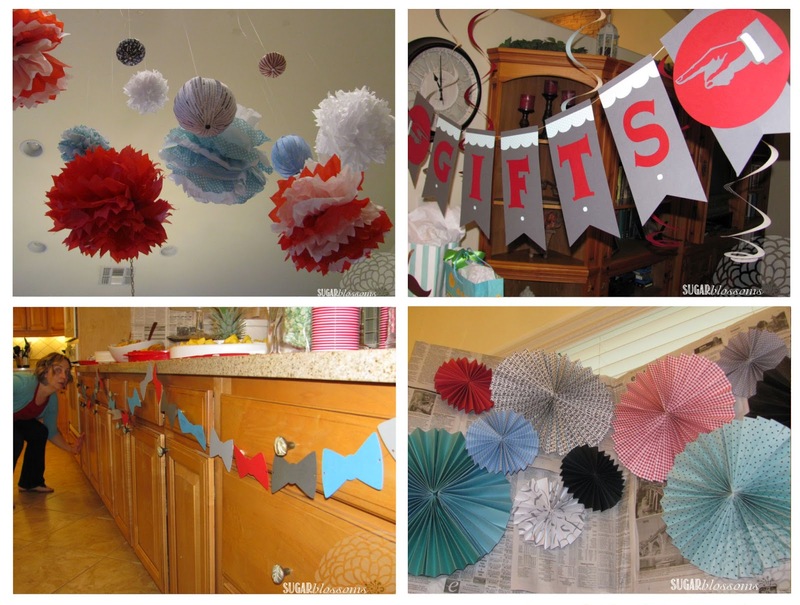 We decorated with pom-poms, paper fans (tutorial here), and bowtie garlands. 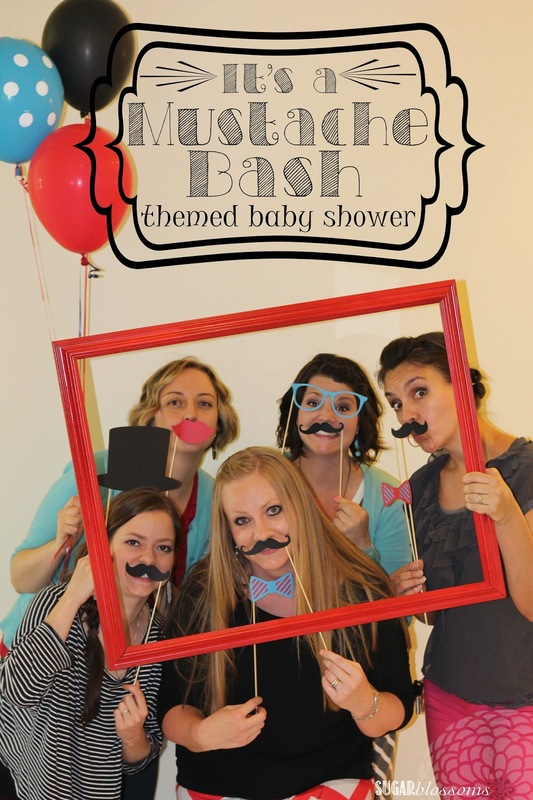 We found a backdrop picture on Pinterest from Hostess with the Mostess and ran with it! I covered cardboard with newspaper (nice & cheap! ), Amy and Melissa attached the fans and prints I made. Amy had our sweet friend Pica make an AMAZING cake. Check her out at Picaflor Cakes. She's awesome! 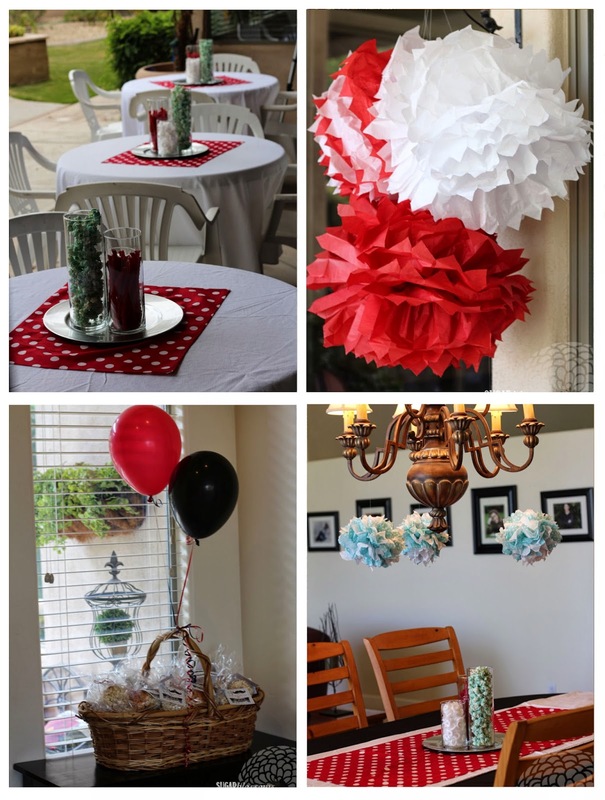 Melissa did the edible centerpieces with Shenna's Candied Popcorn. I whipped up my favorite Pasta Salad, with a bowtie twist. some suh-WEET mustache duct tape that I found at Wal-Mart. 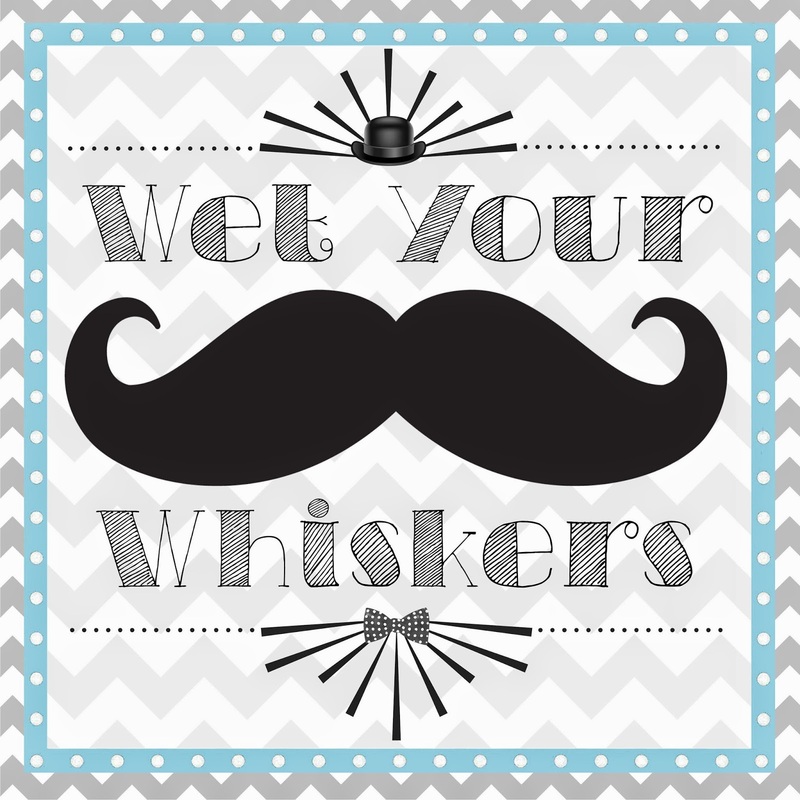 We finished them off by adding a "Wet Your Whiskers" label. we had to cram it all indoors. including some Hanging Orbs (tutorial here). We added a few tables on the patio but the guests there were blown right back inside! 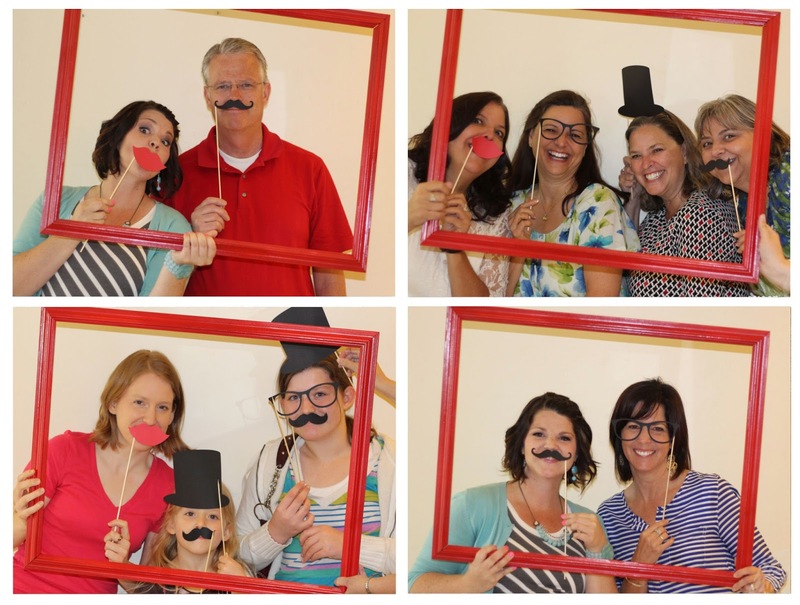 we had some fun with photo props that Shenna made using her Silhouette. It was so much to watch everyone playing! It turned out great and I think everyone had fun! Can't wait to meet your Little Man. Love you and love this post! You are the bestest friend I could ever ask for! I LOVE your guts and great job on my shower! It was AH-mazing! Looks so fun. Good job. Wow you did a great job! 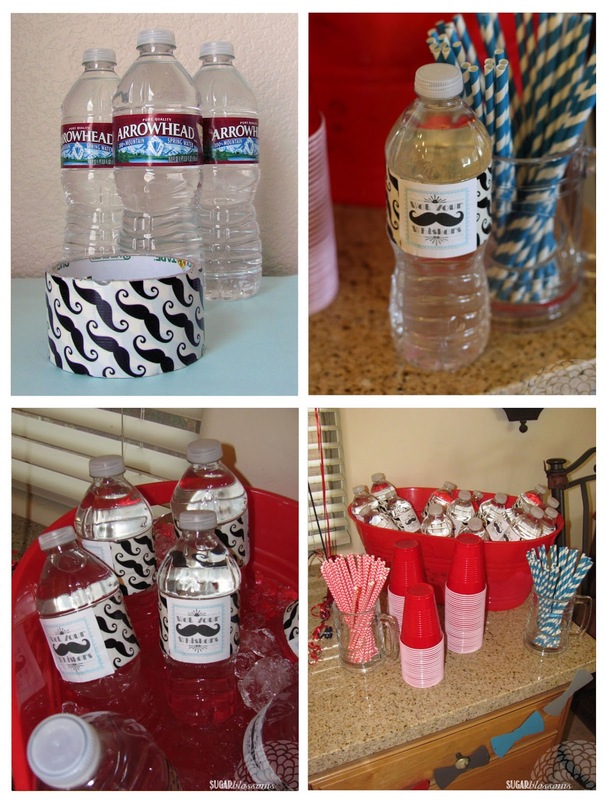 Those photo props would be great for the new years too! That picture with the newspaper backdrop is from Hostess with the Mostess if you want to link back to it. Maybe your friend can use that same newspaper backdrop and dress her son up in dapperlad.com clothing and take pictures. Love this theme!